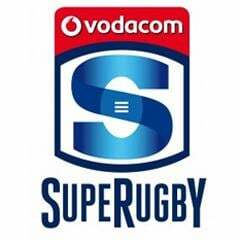 Johannesburg - The Lions have beaten the visiting Sharks 23-21 in their Super Rugby encounter at the Emirates Airlines Park in Johannesburg on Saturday. The Lions were 14-6 down before debutant Howard Mnisi scored on the stroke of half-time and then went over for two quick tries at the start of the second period as his side won for the fifth time in six games. Wing Lwazi Mvovo then outran the Lions defence to stretch the early lead to eight points. But the Lions rallied through Mnisi and tries from Francois de Klerk and Harold Vorster in the first six minutes of the second half as they turned the scoreline around to 23-14. The Sharks fought back with a try two minutes from the end from Thomas du Toit and could have won with the last kick of the game but a penalty attempt from the halfway line by Fred Zelinga sailed wide. 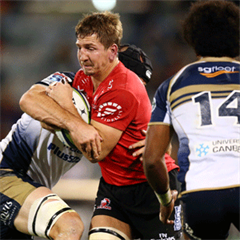 Emirates Lions 23 – Tries: Howard Mnisi, Faf de Klerk and Harold Vorster; Conversion: Elton Jantjies; Penalties: Elton Jantjies 2. Cell C Sharks 21 – Tries: Renaldo Bothma, Lwazi Mvovo and Thomas du Toit; Conversions: Fred Zeilinga 3.